Every other Thursday, FADER style contributor Bethany Cosentino crosses boroughs, counties and states to find us fine thrifted and vintage pieces on the cheap for her column, Thrintage. This week in L.A. she checked out Council Thrift. Read her thoughts and peep the steals after the jump. One of the only reasons I ever travel to the west side of Los Angeles is to visit my friends Reggie and Clare, so it was a totally epic day when Clare took me around to some of her favorite thrift stores on her side of town. She explained Council Thrift as “all the good stuff old Beverly Hills women throw away,” and that basically sums it up. Council Thrift is a chain with several locations on the west side of Los Angeles. It's like if every thrift store just weeded out the junk and kept only the cushiest of the cush. The prices are a tad steep because of this, but a good deal is still out there. 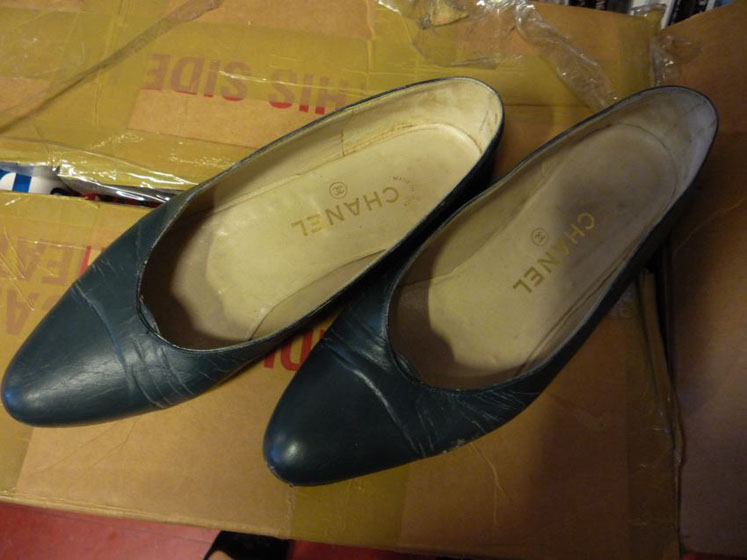 The first thing Clare and I found was a really worn in pair of Chanel flats that you knew someone had just loved for days. The next thing we found was a crazy, but totally amazing paisley bathing suit that I'll for sure wear under some cut off denim shorts. Then Clare found this totally wacky, yet totally proper leopard print Kelly Bundy-esque dress with an amazing open back and oversized gold zipper. From a distance I spotted a worn in acid wash jean jacket, complete with five outta control amazing buttons! My two favorite were “I like boys” and “Don’t bug me” with a crazy dog on it. Naturally I bought the jacket strictly to own the pins. Clare found a really rad camel colored, oversized sweater for Reggie—but a price tag of $20 was a little over the top for us so we put it back. Lastly, there was a really beautiful, vintage, floral, cropped jacket that looked awesome over Clare’s black baby doll dress. Overall, I would say that Council thrift is worth the drive to the west side—if not for the thrifting, then for a Mexican food lunch and a chill afternoon on the beach, which we managed to include as well.